November is here. We can enjoy the last of the orange leaves and snack a little too much. We can think ahead to the Thanksgiving holiday, think about budgeting for Black Friday sales and start deciding on plans for the holiday season. There’s one other thing we need to think about. Winter. It’s coming. And your plants will need protection. 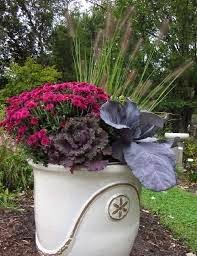 · Remove and discard annuals. This means plants and vegetation like vegetable and certain flowers. Not removing this stuff and letting them can be an invitation to insects and lawn disease. · Clean up the rest of those leaves. Many areas of the country have seen stormy and windy weather in the last couple of weeks. This means there is likely a new batch of fallen leaves in yards and garden beds just waiting to be collected. · Start a compost pile. Here’s the upside to those leaves in your yard. They can help make a compost pile. · Still water your lawn if there has been a dry period. If you have not stored your lawn sprinkler system for the winter, it’s a good idea to give the lawn some water if there has been a stretch of dry weather.